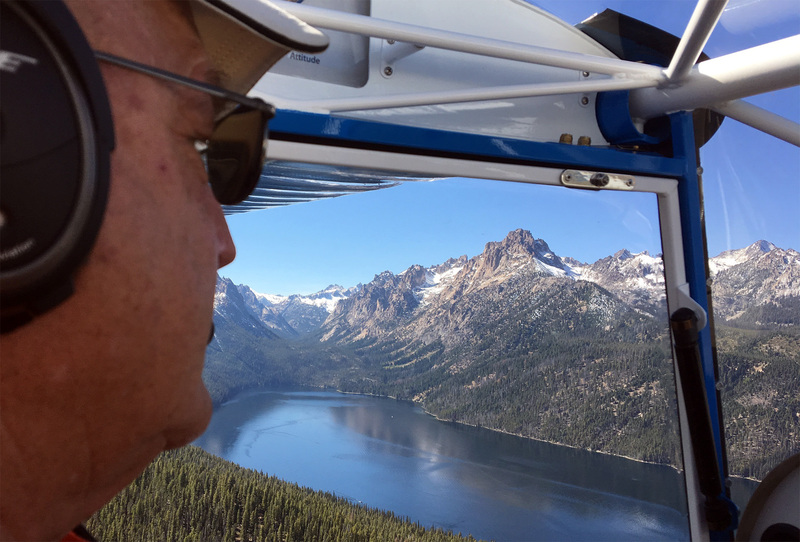 The Flight Training Adventure of a Lifetime. Whether in our aircraft or yours, our backcountry instruction services are in high demand and must be reserved well in advance. Choose from the two options found below. Comprehensive Backcountry Instruction is recommended for those with specific training expectations and goals. This is by far our most versatile and popular program. Choose our Backcountry Discovery option for a unrivaled introductory training adventure. 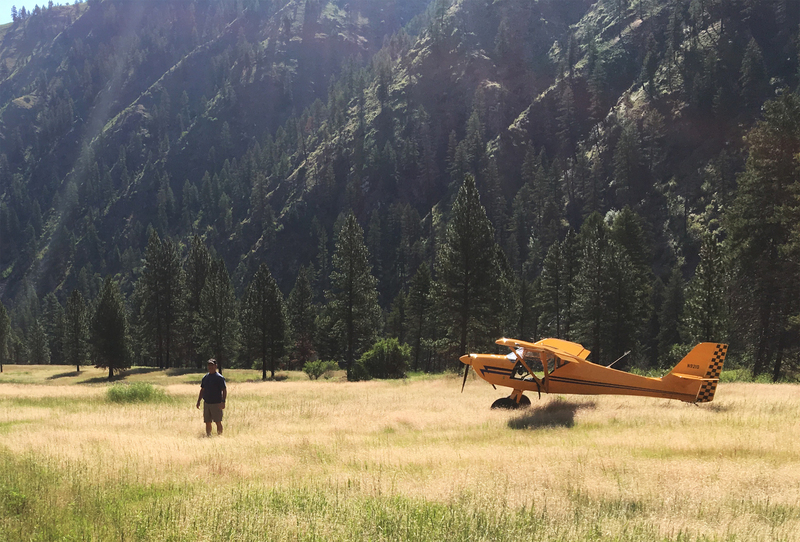 Considered by most to be the Mecca of backcountry flying, our base in Cascade, Idaho offers the quickest possible access to Idaho's legendary backcountry airstrips. The environment here includes big, rugged mountains and deep river valleys. Dozen's of airstrips are available that provide everything from beautiful manicured grass to confined, no-go-around approaches demanding expert stick and rudder skills. See our Idaho Map for more. 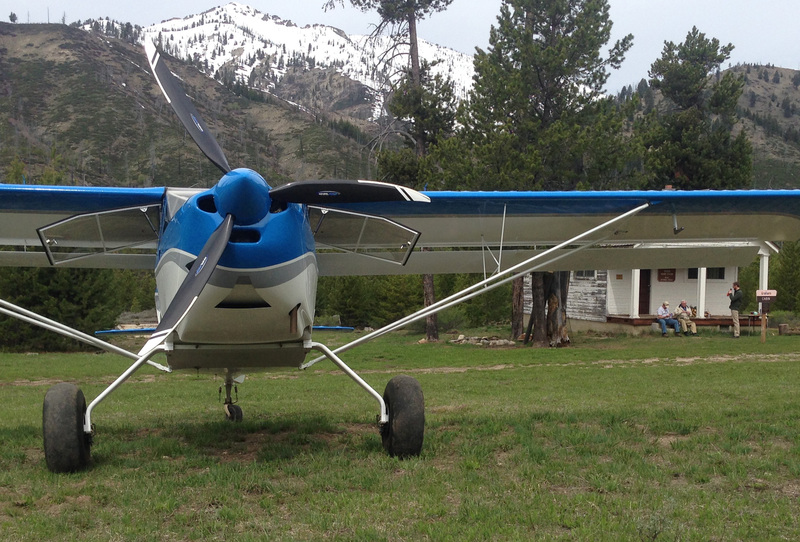 Our turbo-charged Kitfox SLSA aircraft is a perfect backcountry training platform. Sitting side-by-side, you share the same sight picture as your instructor. Skills and confidence develop more quickly as landmarks and instructions are easily shared. Bubble glass doors provide unrestricted vision and a Garmin EFIS keeps you situationally aware. Overall, you'd be hard pressed to find an aircraft more fun to fly or well suited to our mission. Custom-tailored, single or multi-day training programs are designed for clients looking to gain the confidence and skills necessary to make their future backcountry adventures safe and enjoyable. This is the best option for those wanting to focus on specific topics or airstrip environments. Together, we create a general training outline, and then proceed with ground and flight training over the reserved days. Clients typically book three days and sometimes request itineraries that include stays and meals at one of more backcountry lodges. Flight Reviews and Tailwheel Endorsements can be included in your training. A full training day is typically six to eight hours in duration, with three to five hours in flight. 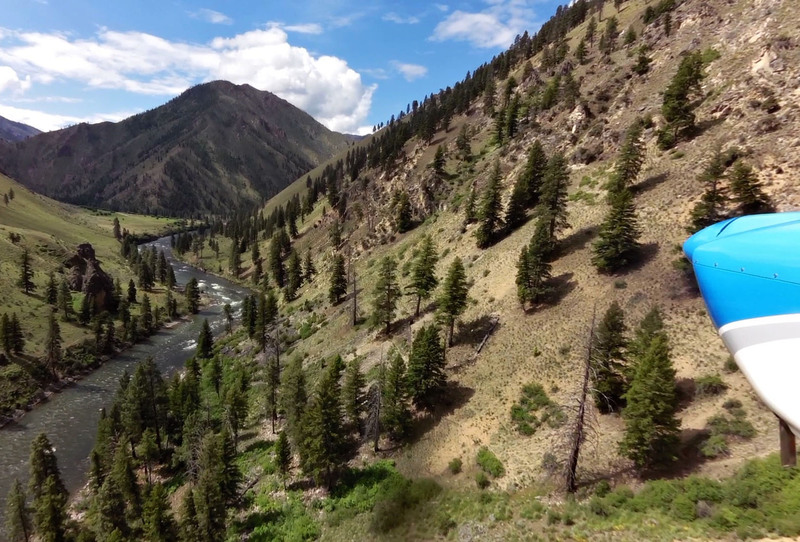 A great immersive view of backcountry flying. This is a good option for pilots of any level wanting a comprehensive introduction to the Idaho backcountry. 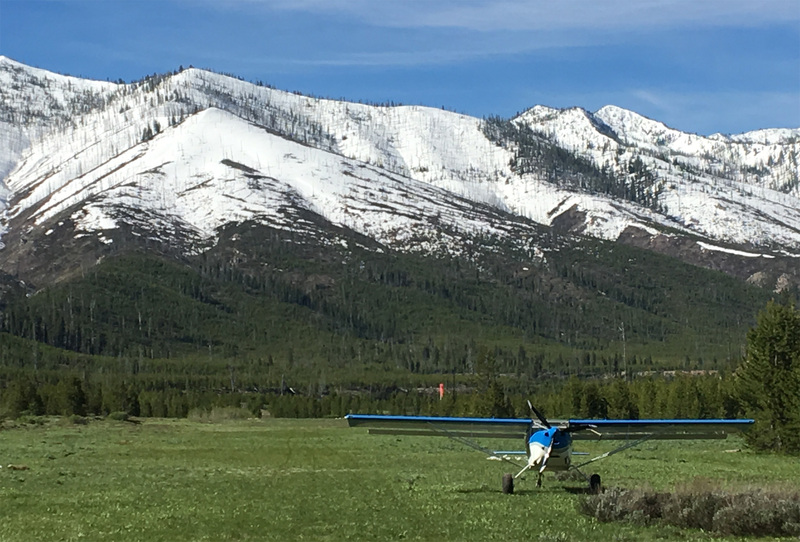 This option includes ground instruction along with flight instruction and aircraft rental to and from many of Idaho's world-renowned backcountry strips. This package allows time to stretch your legs, enjoy the mountain air and snack. It's an experience you'll never forget. Approximate hours: 5 total, 3 in flight. Space is Limited and Reservations Required. Contact Us Today! Our backcountry training is in high demand and requires an early commitment. This is especially true during the high demand months of June and July. Therefore we encourage you to contact us as soon as possible. We adhere to and support the Code of Conduct outlined by the Recreational Aviation Foundation. We fervently hope to make you an advocate as well and will donate 1% of the proceeds from any backcountry training you book to the RAF.